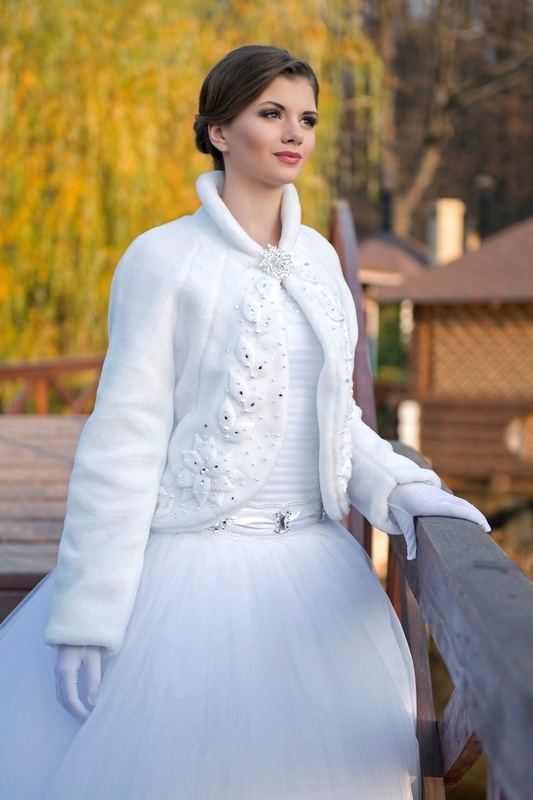 White faux fur coat for wedding dresses with sleeves. White bridal faux fur coat with middle length sleeves. 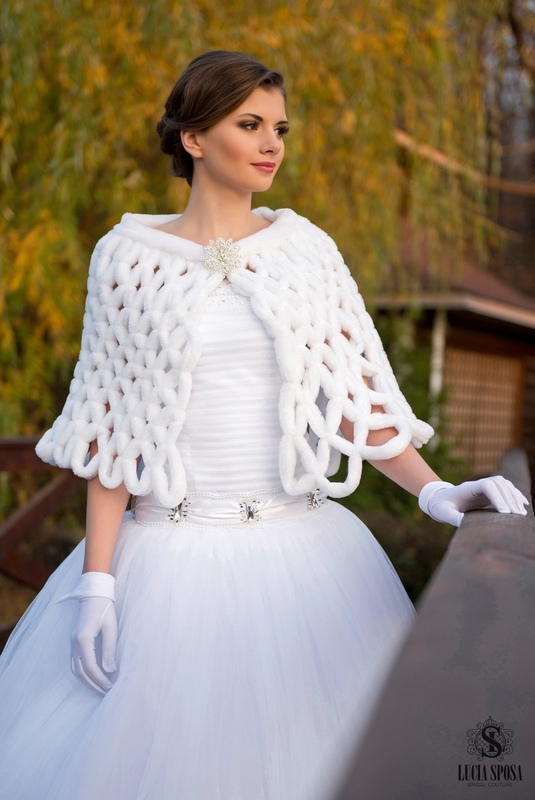 White bridal faux fur coat with long sleeves and laces. 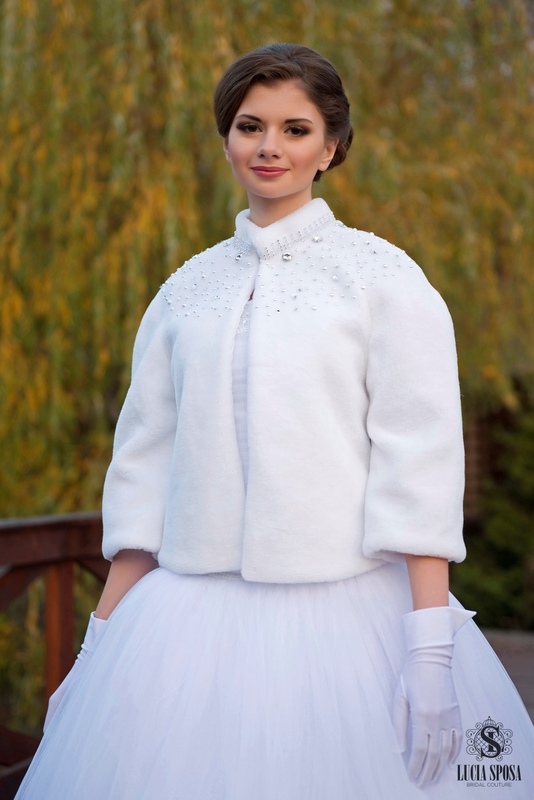 White bridal faux fur coat with long sleeves.